“Rock-and roll lives in this tiny forgotten town on the territory of former Yugoslavia”. This is how the citizen of Vidin Vasko Gromkov / a famous DJ, TV host, singer and musical critic VaGro/ started his story. He was among the dozens of citizens of Vidin who visited the 47th edition of Gitariáda in Zajchar, but was the only Bulgarian journalist accredited to this rock event some 40 kilometers from Vidin. Surprisingly to many, Gitariáda is the oldest rock festival in Europe. For 47 years already, rock music has been shaking this Serbian place. It’s really amazing. There was some stagnation in the 90s but over the last years, Gitariáda has enjoyed unprecedented revival. The reanimation became a fact after the merger of the rock festival and the motorbike fair which was traditional for the tiny town. 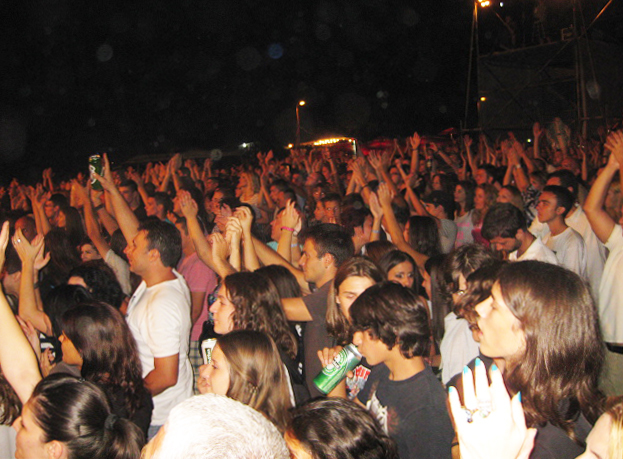 This year the motorbike fair had its 17th edition and a fourth merged with Gitariáda. “The 47th edition of Gitariáda and the 17th edition of the motorbike fair were opened on August 1 at the ancient location containing remains of the emperor fortress Felix Romuliana. The band “Serbian jazz, bre” had the honor to open the festival with their multimedia performance. As usual, everything was for free – parking lots, camp sites and access to the three festival stages. “This year there is a “No hate speech” zone in the center of the town where volunteers gave badges of the “No hate speech movement” campaign”, Vasko Gromov continues his story. During the opening of the fest, the new “rock mayor” of Zajchar – Goran Shepi / vocals of “Kerber” rock band”/ accepted the keys of the town as was the local tradition. One more tradition was also observed. A book about the festival was presented – “Zajchar rhapsody” by Zoran Alexich. “I just couldn’t believe it, according to the book Zajchar had its first rock stage in the far 1940”, Gromkov said. The first night of the festival ended with a 2-hour concert of the famous band “Neverne bebe” in front of audience of 8 000 fans. Over 20 000 people visited Zajchar on the second day of the event. In the early afternoon a film was shown – “We cry behind black sunglasses” and a discussion on “Should all rock bands be from the capital in order to become stars?” was held. 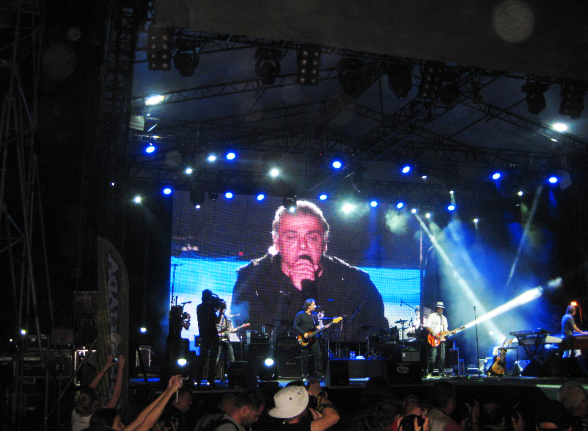 Two Serbian television companies and two radio stations broadcast the festival live. The big party started after 21 o’clock on the huge meadow “Kralevicha”. Apart from the demo bands from the competition program and two town’s bands, the stage of the festival was also rocked by the legends “Zabranjeno pusenje” and by other bands. A surprising VIP-guest appeared on the night before Saturday – the famous voice of “Bjelo Dugme” and “Divjle Jagode” – Mladen Vojchich – Tifa. “Despite the fact that it was all in the open, the organizers were constantly and politely asking the audience not to smoke in the festival zones. I was literally looking for a smoker in the euphoria of the last evening. Out of 1 000 people only one was smoking. Guess what nationality was this guy? Bulgarian, of course”, Vasko added critically. What should we do without beer…? 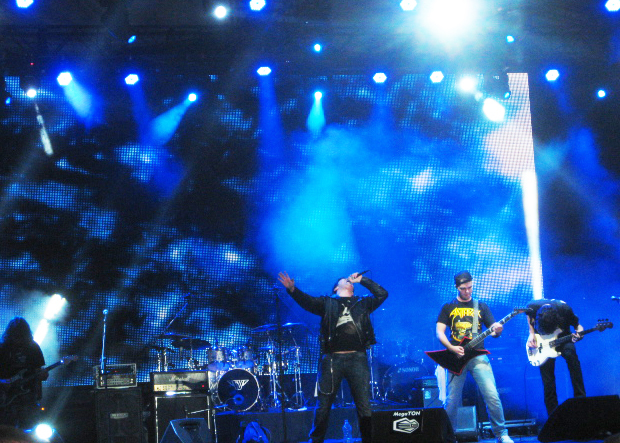 An hour before the long-awaited concert of “Parni Valjak”, two rock bands from Beograd – old and new school – performed on the main stage of Zajchar.”The pit in the front stage was filling with people. Even though I had a pass for the backstage, I faced the stage frontally, ready to fight for each centimeter taking me closer to a band very special to me. At 22.45 Bulgarian time, the 59-year-old founder of “Valjaka” Hussein Hassanefendrich, solemnly led the legendary band onto the stage. And the roaring voice of Aki Rahimovksi started the great hit “Ljubavna” and everything rocked – 38 years on stage for one of the greatest and most loved rock bands of former Yugoslavia. They are in Zajchar for the first time after 1986, Vasko was so excited to tell. More than 50 000 people watched this concert. “Can you tell me if it is ever possible for a Bulgarian rock/or whatever/ band to attract more than 50 000 people and this happens not in the capital but in a small border town? Let’s say…in Malko Tarnovo?”, Gromkov asks rhetorically. The big stars bowed and left the stage but this didn’t mean that Gitariáda ended. Live music sounded some 6-7 hours more before the semi-final competition between the demo bands of the competition program. The heavy task to entertain the audience after “Parni Valjak” fell on the shoulders of the last year winners of the audience prize “VIS Novi Dan” from the host town. After that, 3 young bands were selected for the fest. The fest had its jury and strict organization. Everything happened in no time. The musicians from Vranja “MUD Factory” were the final winners. They started their career with the first video that cost 3 000 euro and was funded by the organizers. Traditionally, the audience prize was taken by the Zajchar band “Hita Ore Tre”. They took as a prize 100 000 dinars. “We listened to the performance of the last participants in Gitariáda 47, the bands “Elemental” and “Ritam Nereda” in the early hours on our way to the Border on “Timochki Radio” which was broadcasting live. We passed the borderline in a hurry as the Serbian female guards were smiling “lepotitsi”/beautiful women/, and were rock-winged”, Vasko ended his story. 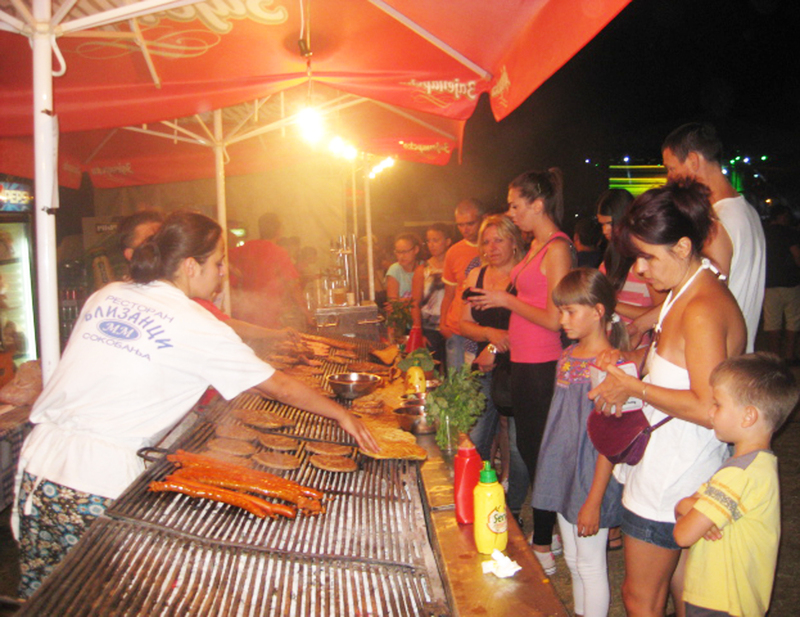 We’ll surely be there again next year, all people from Vidin stated. And surely they will!